You are here: Home / Healthy Eats / Hydration done right. Few people actually understand how important proper hydration is for the body and mind. The body is made up of 50-75% of water depending on age, height and weight. Because the brain consists of nearly 75% water, with just a 5% drop in body fluids, energy levels can be reduced by nearly 30% purely from being improperly hydrated . Maintaining proper hydration has many health benefits such as glowing skin, healthy teeth, and bones. Other benefits include keeping your digestive system healthy as well as increasing energy levels which is vital to maintaining an active, healthy lifestyle. Electrolytes are crucial for hydration and body balance. 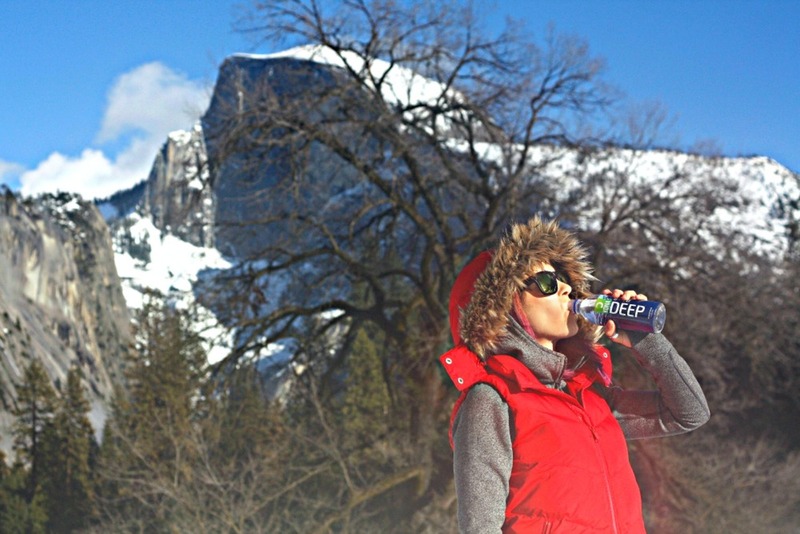 Kona Deep® is naturally rich with deep ocean electrolytes which are quickly and easily absorbed. In fact, a new study underway at the University of Arizona seeks to evaluate the impact of post-exercise hydration with deep ocean mineral water on exercise performance, rehydration and recovery, and interim results further strengthen this connection. So how exactly do you stay properly hydrated? Well, a good rule of thumb (without excessive sweating or cardiovascular activity) is to drink at least 50% of your body weight in ounces per day. An example would be a 130 pound woman would need to drink 65 ounces of water per day. There are many types of water to choose but which is best? Well knowing where your water comes from is definitely important when making the decision. Since we live in Kauai and we love to eat and drink local, Kona Deep® is the best option. Kona Deep has nothing added and nothing artificial. Kona Deep is the perfect blend of naturally pure and performance-driven deep ocean water. Kona Deep delivers hard-to-obtain deep ocean water. It is not only local, but actually tastes amazing and was perfect on our trip to Half Dome in Yosemite National Park this past weekend. You no longer have to choose between purity and performance. If you would like to try Kona Deep yourself, be sure to follow us @barreaddictsanonymous on Instagram for a Kona Deep giveaway, in which you could win 12 bottles of your own! A little about the company, Kona Deep® is a Hawaii-based bottled water company founded by locals, is a deeply refreshing and restoring water with a unique balance of naturally occurring deep ocean electrolytes. Kona Deep comes from the ocean waters off the coast of Kona, over 3,000 feet below the surface where cold, pressure and darkness combine to create an exceptionally high quality water. We utilize a unique method to bring the water to the surface to offer an extraordinary taste and hydration experience. More than 1,000 years ago, melted glacial water from Greenland sunk to the ocean floor and created a current that still flows today. The water in this ocean current is naturally rich in deep ocean electrolytes due to the fact that it travels the globe along the ocean floor. On its journey, it collects electrolytes and other minerals. The purity of this water results from prolonged cold and darkness from far below the ocean’s surface. Kona Deep® is now available at a variety of local Hawaiian retailers, including grocery stores such as Foodland, Safeway, and KTA, convenience stores like Minit Stop, natural stores, such as Down to Earth, and military exchanges like AAFES, in 500mL and 1L bottles. But we are also making our debut in the contiguous United States in Arizona! Kona Deep® is available in 500mL and 1L bottles at Sprouts Farmer’s Market, AJ’s Fine Foods, and Basha’s locations across Arizona. Consumers can also purchase 12 and 24-bottle cases of Kona Deep in store or online at www.amazon.com. The brand will begin to roll out into other mainland U.S. markets in 2016. This post is sponsored by FitFluential on behalf of Kona Deep.